It’s possible that a more vitamin-packed meal exists, but I can’t think of what that might be right now. 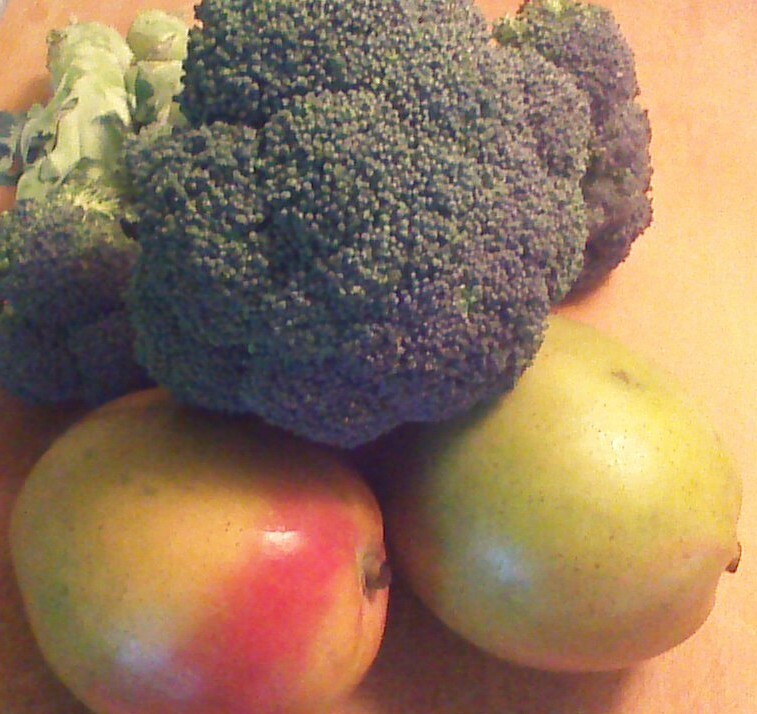 Broccoli and mango are nutritional powerhouses on their own… combined, they are magnificent! Not big on vegetarian meals? No worries – feel free to top this dish with cooked shrimp or chicken for a protein packed dinner. 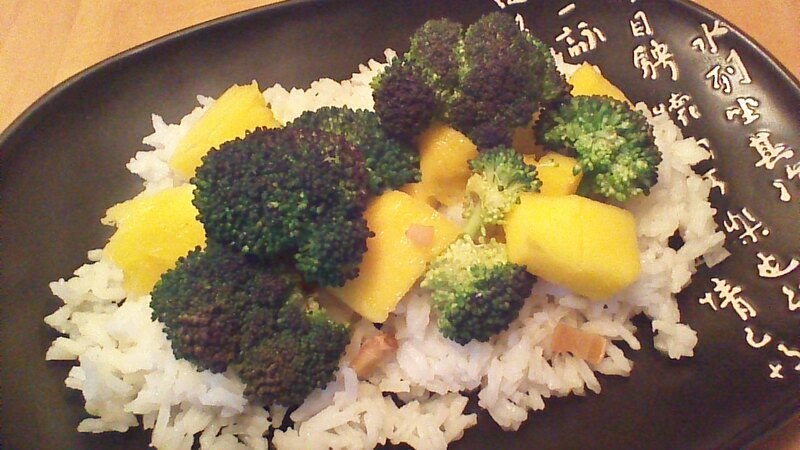 Please note that this recipe cooks FAST… have your rice cooked and your table set before the broccoli goes into the pan! 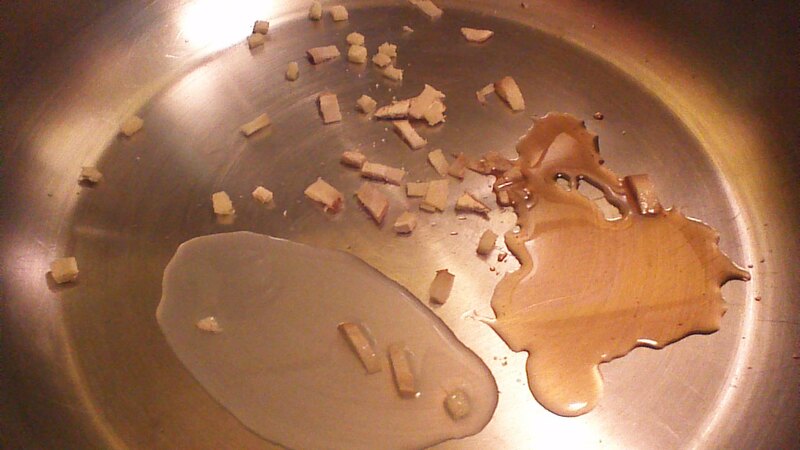 Step 1) Add coconut oil, sesame oil, garlic, ginger, and broccoli to a hot frying pan or wok. Stir-fry over medium-high for three minutes, stirring constantly to avoid scorching. Add one or two tablespoons of water if the ingredients begin to stick to the pan. Step 2) Add mango to the pan. Reduce heat to low-medium and cook for two minutes, stirring occasionally. Step 3) Whisk together fish sauce, lime juice, and cornstarch. Drizzle this mixture over the broccoli and mango. Cook everything over medium heat for 2 more minutes, stirring constantly. Step 4) Serve over cooked rice. Top with chicken or shrimp if desired. This entry was posted in Main Dishes and tagged Cooking, dinner, Food, gluten-free, health, recipe. Bookmark the permalink. Soooooo good!!!!! The fresh ginger makes this dish amazing!!! !